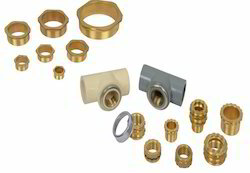 UPVC MALE BRASS FITTINGS Shree Extrusions Limited is a manufacturer a wide range of UPVC/PVC Female Brass Fittings in different Threads, Types and Sizes. These fittings are suitable for the most of the applicable UPVC/PVC pipes. These parts are manufactured under quality control process and also can be manufactured as per Customer drawings and specification. Plating – Natural, Nickel, Chrome Plated, Tin Plating or any other coating as per customers specification. UPVC FEMALE BRASS FITTINGS Shree Extrusions Limited is a manufacturer a wide range of UPVC/PVC Female Brass Fittings in different Threads, Types and Sizes. These fittings are suitable for the most of the applicable UPVC/PVC pipes. 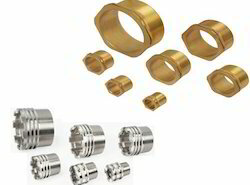 FEMALE PPR BRASS FITTINGS Shree Extrusions Limited is a manufacturer a wide range of Male PPR Brass Fittings in different Threads, Types and Sizes. 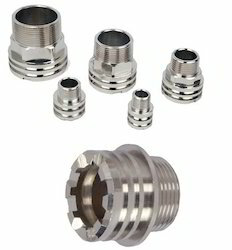 These fittings are suitable for the most of the applicable PPR pipes. 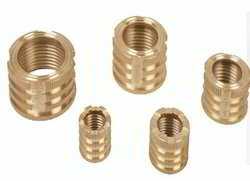 MALE PPR BRASS FITTINGS Shree Extrusions Limited is a manufacturer a wide range of Male PPR Brass Fittings in different Threads, Types and Sizes. These fittings are suitable for the most of the applicable PPR pipes. These parts are manufactured under quality control process and also can be manufactured as per Customer drawings and specification. Plating or any other coating as per customers specification. FEMALE PPR BRASS FITTINGS Shree Extrusions Limited is a manufacturer a wide range of Female PPR Brass Fittings in different Threads, Types and Sizes. These fittings are suitable for the most of the applicable PPR pipes. Ring Type PPR BRASS FITTINGS Shree Extrusions Limited is a manufacturer a wide range of Male PPR Brass Fittings in different Threads, Types and Sizes. These fittings are suitable for the most of the applicable PPR pipes. 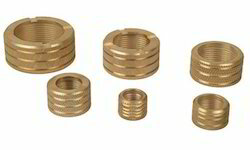 MALE PPR BRASS FITTINGS Shree Extrusions Limited is a manufacturer a wide range of Male PPR Brass Fittings in different Threads, Types and Sizes. These fittings are suitable for the most of the applicable PPR pipes. We are the Leading Manufacturers of PVC CPVC Brass Inserts.